Today's post is not one written by me. 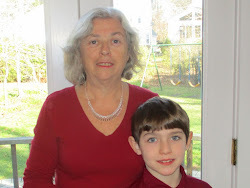 It is one that I am sharing with you as part of the Grandmother Power Blogging Campaign. This is a collaborative effort of bloggers writing about Grandmother Power from May 7th to 14th, 2013. I could have written my own story and perhaps next year I will but this year I wanted to share one of these amazing stories of what is being contributed to society by grandmothers in Inda - and spreading worldwide. I am an engineer by degree so I was particularly drawn to the technical nature of this project. Enjoy. You can get details and join the campaign visiting this link. At first, the Barefoot College in Rajasthan, India taught young men to be solar engineers, hoping they would bring light to their rural villages. The plan didn’t work: the men went straight to the city to find jobs, not back to the villages that so desperately needed their expertise. to learn how to bring light to their communities. The grandmothers were illiterate and existed on less than fifty cents a day but they were mature and gutsy, and wouldn’t dream of moving away from their grandchildren. Their teachers were other illiterate grandmothers who had already finished the course and who shared their knowledge generously. After six months, the student grandmothers could build, install, repair and maintain solar lighting systems. They could assemble solar lanterns, solar water heaters and parabolic solar cookers. The Indian grandmothers went home and brought light to a whopping 23,000 households in 16 Indian states. Even more inspiring is what happened next. The UN began sending grandmothers from other developing countries to learn from the Indian grandmothers. Together, Grandmother solar engineers have brought solar electricity to 45,000 households in 64 countries in the Middle East, Africa, South America and Asia. With light, life is transformed. Midwives deliver babies at night. People charge cell phones and preserve food in refrigerators. Children do homework without getting black lung disease from kerosene lamps. From Grandmother Power: A Global Phenomenon by Paola Gianturco, published by powerHouse Books. Tiger grandmothers -- I love it! Paola's book is so inspiring.